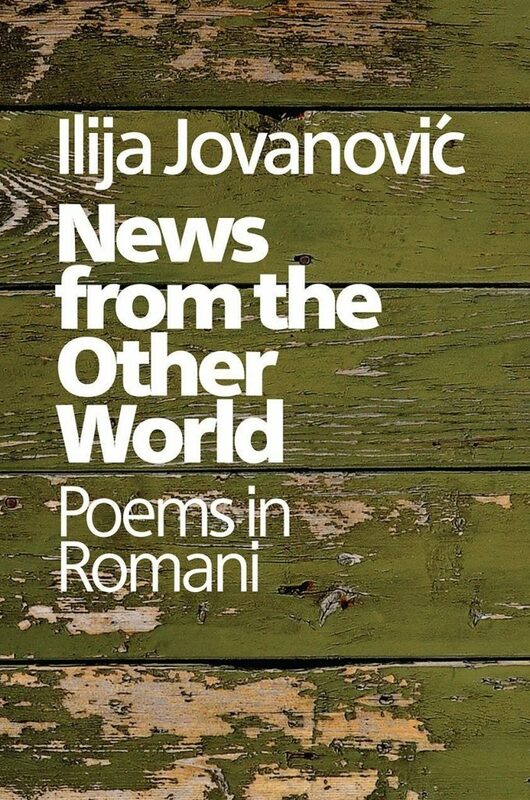 News from the Other World is a collection of poems in the Gurbet dialect of Romani by the Roma poet Ilija Jovanovic, who writes movingly of the life and traditions of the Roma community of his youth in Serbia, the joy and comradeship, as well the hunger and poverty. He writes, too, about his feelings of rootlessness and loss of identity in Austria, his adopted country, and the prejudice experienced by his people. Yet he also writes with compassion of love and fatherhood and faith. The poems are accompanied by translations into English. Includes a memoir of the poet’s childhood and an essay on the history of the Roma people. Ilija Jovanović was born in 1950 in Rumska, a village near Belgrade in Serbia. After leaving school he worked as a farm worker and did his military service. In 1971 he moved with his wife to Vienna where he worked in a metal factory, and later as a hospital pharmacist’s assistant. At the same time he gave lessons to children of immigrant workers in Romani and German. Jovanovic became secretary general, head of cultural affairs and finally chairman of the Romano Centro, an association for Romanies in Vienna. He has had two volumes of poetry published in Austria. In 1999 Ilija Jovanovic was awarded the Theodor-Körner prize and in 2008 the Bundes-Ehrenzeichen for his work in the field of intercultural dialogue. Melitta Depner was born in 1951 in Bavaria, Germany. After working as a computer scientist for some years, she has devoted more of her time to literature and languages. For twenty years she has been a respected translator, mostly of poetry.